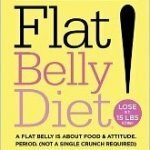 How many calories in Dandelion greens? See below, the Dandelion greens calories for the different serving sizes. We provide you with the Dandelion greens nutrition facts and the health benefits of Dandelion greens to help you to lose weight and eat a healthy diet. We are probably more familiar with the Dandelion as a weed with a pretty yellow flower. In fact a number of varieties can be eaten, either raw in salads, or boiled. 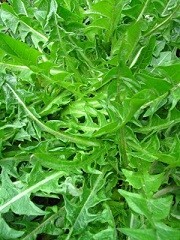 If you catch wild dandelions in the spring before the plant blossoms, then the greens are great for salads. If the plant has blossomed, then you will need to blanch them to remove their bitter taste, which is similar to chicory. Dandelion greens are an excellent source of vitamin A, beta-carotene, vitamin C, E and vitamin K.
They are also a good source of vitamins B1, B2, B3, B5, B6, B9, and minerals: calcium, iron, magnesium, manganese, potassium and zinc. Dandelion greens are good for our digestion and are anti-inflammatory. Other Dandelion greens benefits are said to include acting as a diuretic. Below are two calorie tables for eating either raw or cooked. We also have a nutrition table. See our vegetable calories comparison chart to compare the calories in Dandelion greens with the other calories in vegetables. Also, have a look how nutritious Dandelion greens are in comparison to the other vegetable nutrition facts.